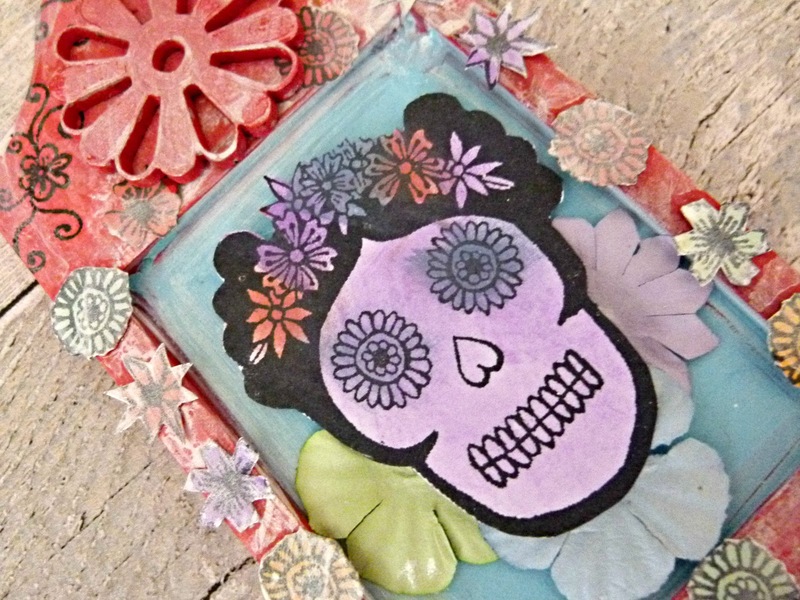 Check out this sugar skull tag created using Sin City Stamps. Coat the tag with gesso and then glue together. 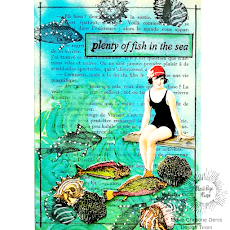 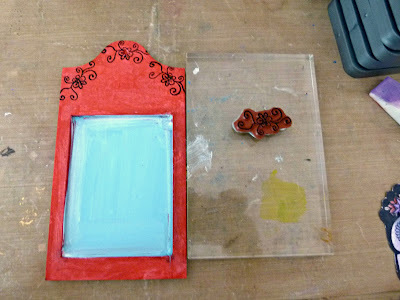 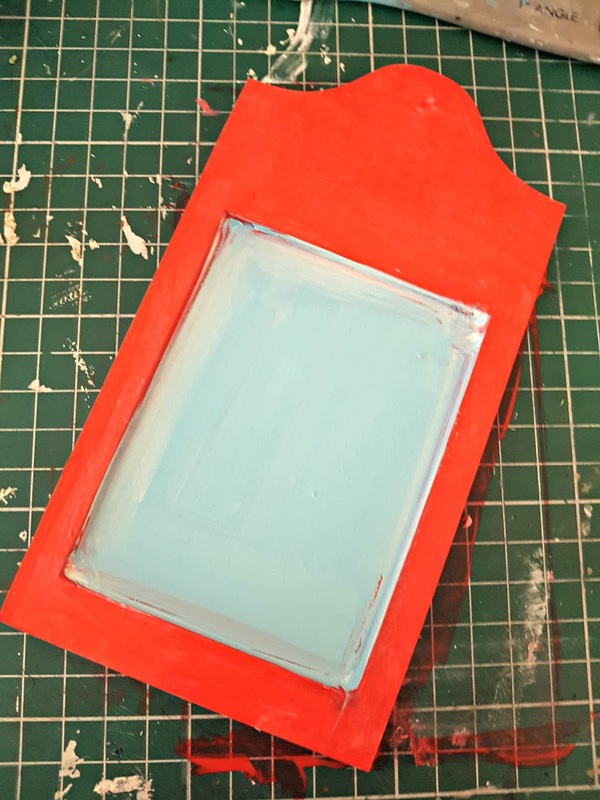 Paint red and light blue with acrylic paint and then stamp around the top using the flourish stamp. 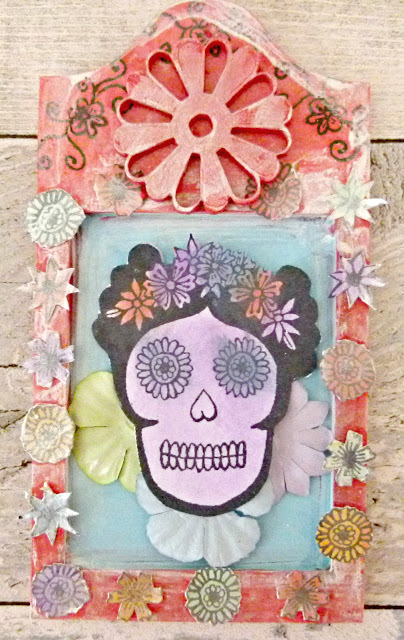 Stamp our the Sugar skull and flowers onto a white card and color in with inks before cutting out. 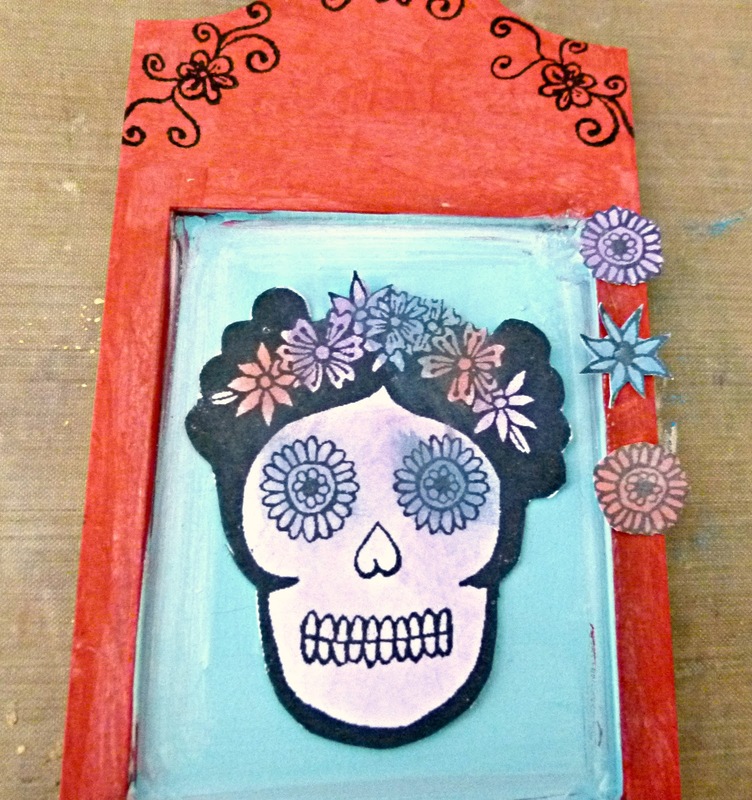 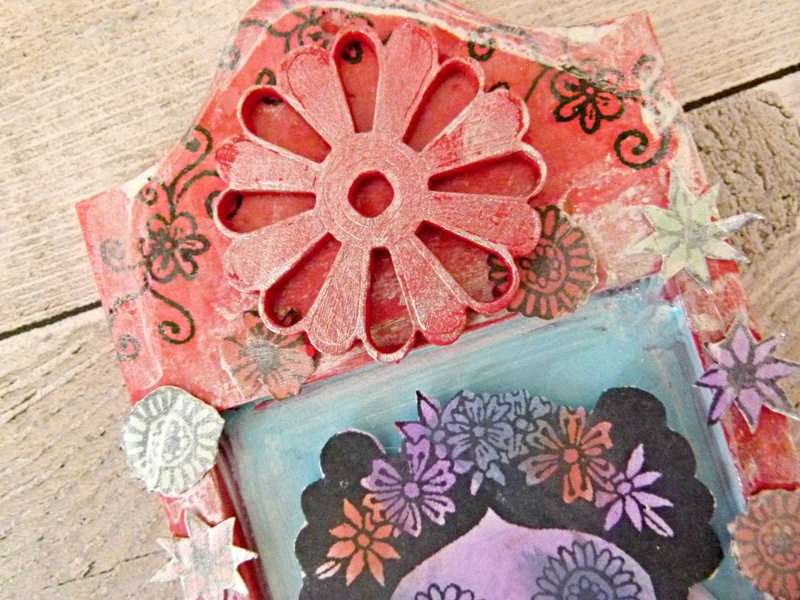 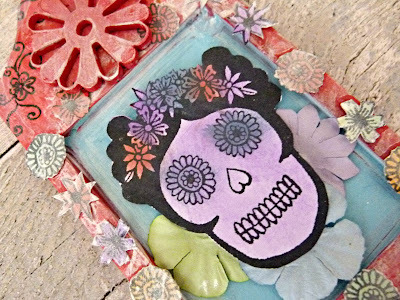 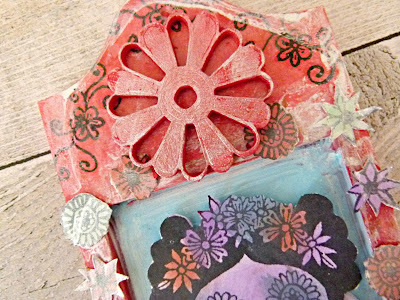 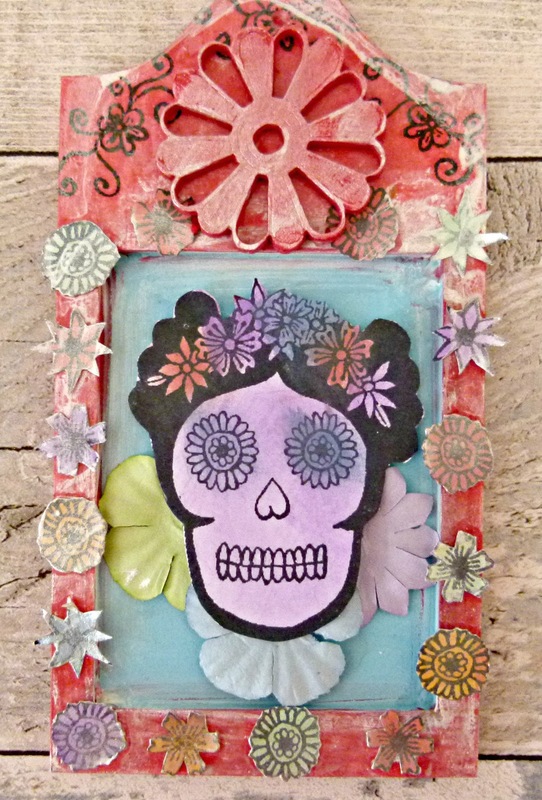 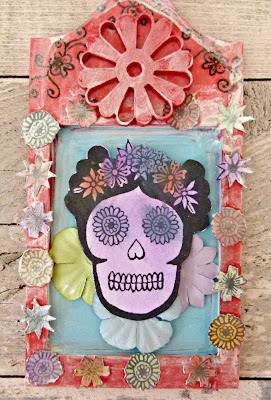 Glue the flowers around the sugar skull and then glue the stamped flowers around the frame. Paint a large flower with acrylic paint and dry brush with pearl white paint. Glue to top of tag. 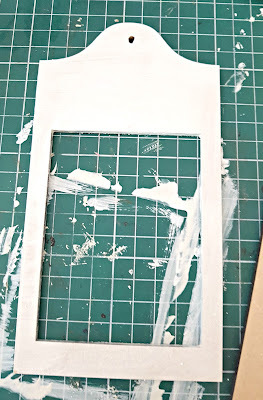 Dry brush whole tag with pearl white paint. 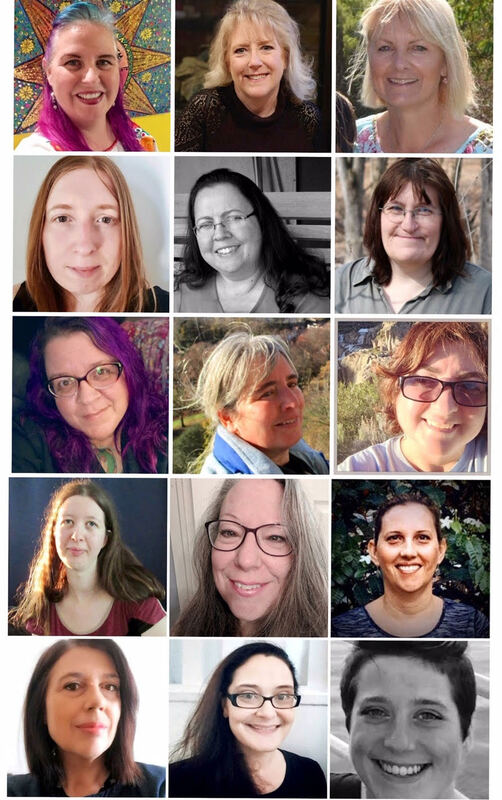 We have a fan club too!